The sleight-of-hand is not that subtle. In his panic-driven revamp of the discredited London 2020 campaign exposed by openDemocracy, George Osborne has tried to turn a £3 million commercial deal – because that’s what it remains – into a saint-like, wholesome charity event whose only aim is apparently to save London’s future. On Tuesday, Osborne’s Evening Standard newspaper launched a project, now named ‘Future London’, sponsored by six major commercial partners including Uber, Google and private healthcare firm Babylon, to “make sure [London] remains the best place in the world”. Someone should perhaps tell Mr Osborne and the advertising bosses inside the Standard who are running ‘Future London’ that plenty of readers actually do pay attention to what’s in front of them, and are no mugs when it comes to swallowing contrived advertising messages, however well cloaked or branded. There were chapters of Osborne’s years running the UK Treasury where anything he said lacked economic credibility. 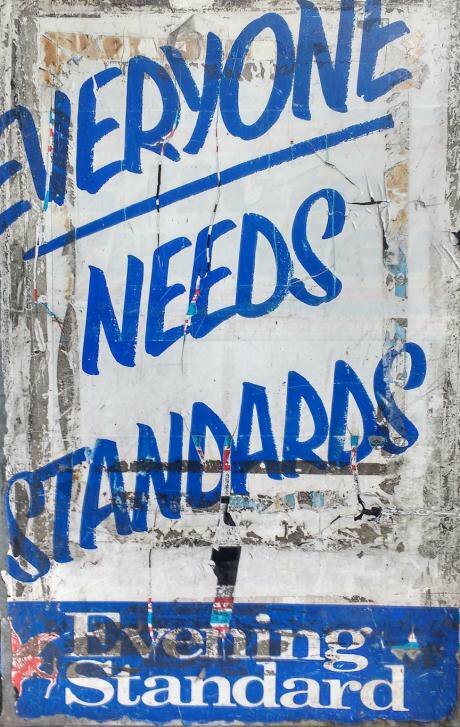 The Standard’s Future London project adds a new chapter, this time a credibility gap, where a promised “practical and positive approach” to an advertising project conveniently omits any mention of its origins – namely, a deal that promised potential commercial partners “money-can’t-buy” news and comment coverage that would be positive and favourable. And which would have left millions of Londoners in the dark about who was paying for their news, and their hidden commercial agendas. Perhaps readers should look beyond the new assurances of “positive and practical”, and in the same week that the Standard announced that it was no longer a profitable newspaper, losing £10 million last year, instead see “needed and necessary” funds from any company willing to pay. A health project that attempts to improve the inner-workings of the NHS, or tried to assist the efficiency of this valued national resource, would be worthy of consideration. But Babylon, the company who reportedly have paid ESI Media £500,000 for a role in Future London, is not a charity, but a hard-edged commercial entity which has tried to prevent regulators from publishing critical reports about its activities. So again, Standard readers won’t take kindly to being treated as consumer simpletons promised a new-era of a private-public “combination” to save the NHS, when all they are actually reading is an unsubtle, paid-for, nicely wrapped advert likely to puff the future of an NHS seeking out similar new commercial partners. Will Babylon be the company that helps Osborne and the Standard assist the NHS along to a better future? If you think the answer is Yes, then you probably thought every Osborne budget was a fiscal triumph and his stated aim of shrinking the state to pre-war levels was a justified target. If you think the answer is No – and there will be many – then ESI Media (the Standard’s Russian oligarch-owned parent company) will need to work harder – because the Standard cannot afford to lose any more readers, or lower the cost of its formal advertising. Look outside the entrance to London tube stations after 9pm, or later when the vans arrive to pick up bundle upon bundle of unopened papers, all ready to be driven north for pulping. Taking £500,000 from a company like Uber, which is badly in need of an image makeover, and presenting it to Londoners as an act of environmental “clean air” progress, takes a high degree of belief that Londoners will swallow anything put in front of them. 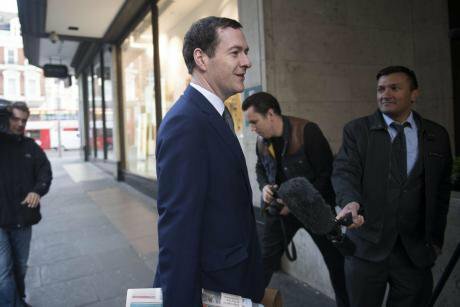 Osborne and ESI’s advertising executives clearly sing from the same ad hymn sheet. So, does he think his legacy as an editor will come from this? Does he much care? Currently running on the BBC is a sequence of brilliant documentaries that chart the progress of the New York Times journalists and editors as they battle a White House under the control of Donald Trump. This is what journalism and the Fourth Estate are there for. This is what accountability means, looks and sounds like. Sadly for Londoners they instead have Osborne as the editor of their important newspaper. The readers of the Standard deserve more than a former politician juggling a large portfolio of directorships and advising contracts; they deserve more than the pretence that the “five big ideas” of Future London, all paid-for by companies that seem to expect good news when it comes to their own businesses, somehow represents the salvation of a great capital city. They deserve more than a crass exercise that bows down to the power of advertisers, however badly the cash is needed. Promising money-can’t-buy positive coverage, and then conducting a fevered hunt for those who may have leaked details of the project that tore down the church-state divide between news and advertising, is not the work of a journalist. But then Osborne is no journalist. And when he leaves, his editorship could well mean a weakened newspaper that forgot why it was there. London once had a newspaper called the Advertiser. 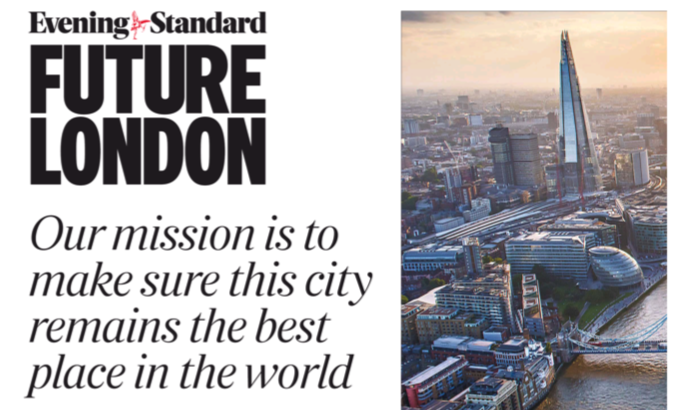 Osborne might do more than leave out the word “London” from the Standard’s masthead. He might do better to bring back the title ‘Advertiser’ – because that is what London’s commuters are being handed on their way home. ‘Future London’ assumes many won’t care. That isn’t true. No newspaper that has taken its readers for granted has survived with its reputation intact. But inside the Standard where the balance of power now lies firmly on the side of the ad department, that lesson is being forgotten. To assist those who do care, openDemocracy makes this pledge: we will listen to those concerned about a media culture being driven purely by commercial interests, and investigate where appropriate. We have already exposed what ESI Media told would-be partners they would be getting for their money. We revealed why one company, Starbucks, said no, with one executive calling the project “PR Death”. Promising money-can’t-buy positive coverage, and then conducting a fevered hunt for those who may have leaked details of the project is not the work of a journalist. At least to this Londoner, Osborne in the editor’s chair of the Standard cannot be trusted. That means that the news and comment articles he is in charge of come with a health warning. However, Standard readers have one weapon at their disposal, and it is a powerful one. Vigilance. This is the real Future London, and it really is a money-can’t-buy product.